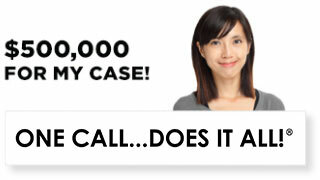 The Ellis Injury Law Firm brings you more than 20 years of winning personal injury settlements and verdicts. 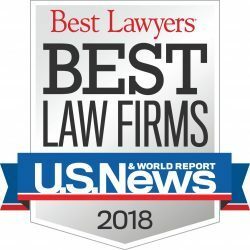 If you or a loved one are looking for the best legal representation for a recent spine injury, look no further than our California spine injury lawyers, who have been ranked among the best by US News and Best Lawyers Magazine. When you need to focus on learning to live life to the fullest again, the last thing you want to worry about is pooling the financial resources to cover the high cost of spinal cord injuries. 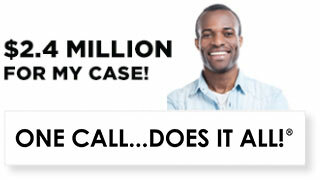 Should you call a spine injury attorney? Spinal injury lawsuits are one method for easing the financial strain following a traumatic experience. It could take years for resolution, while taking an emotional toll on you and your family, but the substantial payout may be your best chance of living without financial worry. Most people are not in a financial position to cover the cost of disability-accessible housing, vehicle adaptation, motorized wheel chairs, and other personal assistive technology. Even with help from health and disability insurance companies, as well as the State and Federal Government, people with spinal cord injuries may still be lacking the financial, social, medical, and rehabilitative support needed to get by. Finance is not the only reason people call spine injury attorneys. Some victims are worried that the perpetrator(s) who injured them will go on injuring others unless they are held accountable for their actions. This is particularly the case when individuals are harmed by doctors, large corporations, or violent offenders. 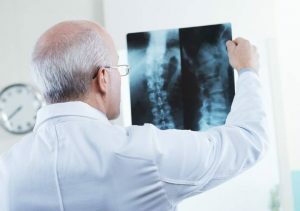 Sometimes spine injury victims just need to know what happened and would like to tap the vast resources of a law firm. Ellis Injury Law Firm in Los Angeles, California helps spine injury victims who have suffered needlessly due to the negligent or reckless actions of another party. The moments before catastrophic injury can all be a blur. If you are unsure of what happened leading up to the injury and need more clarification or suspect that there was more to the accident than meets the eye, we can help! Of the roughly 12,000 annual spine injuries, about 35.9% are caused by motor vehicle crashes. Most of these accidents were preventable in some way. Attorneys bring in their own team of crash scene investigators, researchers, witnesses, medical experts, accident reconstructionists, and police officers to examine what happened, and identify instances where another person’s negligence is at least partially responsible for your injuries. Additionally, 29.5% of spine injuries result from violence – another instance where a California spine injury lawyer can be invaluable. Gunshots and knife wounds are the top causes of injury to the spine. When perpetrators can be determined, a spine injury lawsuit is an effective way to bring about justice and closure. An estimated 20.3% of spinal cord injuries happen during falls. Particularly when the falls occur on-the-job, there are many factors to consider. The employer’s safety training, oversight, and working conditions all must be explored to ensure there is not a systemic problem. Sports cause 7.3% of spine injuries, and another 7% can be attributed to “other” causes. No matter what the case may be, defendants can include sports leagues, employers, contractors, local municipalities, property owners, and a host of others you may not immediately expect, so it’s best to have a lawyer look into your case. How much is a spine injury worth? Spine injury damages are some of the most expensive medical bills to manage. The first year costs can range from $347,484 for incomplete motor function to over $1 million for high tetraplegia — not including lost wages and benefits, which could easily tack on another $71,961/year. The lifetime costs for a spinal cord injury range from $1.5 million to nearly $5 million. $250,000 for a rear-end collision in LA that resulted in multiple spine injuries, costing the plaintiff $59K. $750,000 when truck failed to stop for construction on the highway and plowed into the plaintiff. 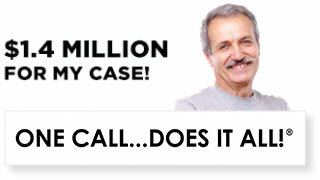 Spine injury lawsuit settlements and jury awards take more into account than the obvious medical bills and lost wages. Victims can also collect compensation for home modifications, and assistive technology, as well as emotional pain and suffering. Spouses can claim loss of companionship, loss of consortium, and loss of income. In the worst cases, family members can receive compensation for funeral and burial expenses. 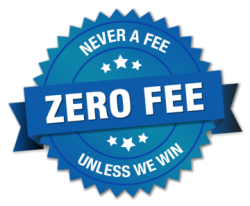 Contingent fee arrangements are the standard in spinal cord injury litigation, which means you will not be required to pay any money up front. The Ellis Injury Law Firm shares the risks of recovery and only receives payment for a successful settlement or verdict. When choosing an attorney to represent you in an injury case, you want someone you can communicate openly and honestly with, who is truly caring and compassionate. Contact The Ellis Firm for a free, no-obligation case review to take the first step toward healing and recovering what you’ve lost in a spinal cord injury.